I have some life updates to share, starting with my decision to stop playing professional golf. Unfortunately, I did not earn back LPGA status at the Qualifying Series in November. Facing a step down to the Symetra Tour or a long string of Monday Qualifiers, it was time to reevaluate. To start, after difficult and honest introspection, I don’t believe my game is where it needs to be to enjoy the life I want on the LPGA Tour. Through twenty-four LPGA events, my best weeks gave me middle of the pack finishes; my average weeks were missing cuts. I feel both pride and dismay to be here: proud to have worked my way up to this vantage point, but discouraged to recognize the gap that remains between myself and the next tier of players. The next tier of competitors are contending on their best weeks and finishing in the middle of the pack on their average weeks. The harsh reality is that this is the only level on the women’s side of the game that allows one to make a comfortable living and retain some job security. Couldn’t I continue to improve, though? Potentially. Many players don’t peak until their early thirties (if their financial and family decisions allow them to get that far). And like I said before: I’ve only played twenty-four events. It’s not uncommon for a player to earn her first win after playing one hundred. Under the right guidance, there is still room for growth in my game. Yet… I am also acutely aware of my shortcomings. I know how wide the chasm looms between a few good weeks and enjoying a sustainable career. I also understand the reality of what’s necessary to make even one significant long-term improvement. I have been climbing this mountain for a long time. I’ve spent my life assessing the next peak, plotting and preparing, falling off, getting back up. I’m incredibly proud of how far I have made it. But now, when I look up at the peak in front of me, I don’t feel like climbing anymore. Frankly, I’ve never viewed myself as talented at golf. “Talent” to me suggests something you are born with, an ability that comes easily. I’ve had to work incredibly hard for every golf skill I’ve acquired. The one thing I believe I was born with, that does come as naturally as breathing, is grit. I’ve somehow always managed to rise to the occasion when my career demanded it because I’ve had an extra reserve of will— a little voice inside that has wanted to succeed at golf so badly it hurts. However, the last month leading up to Q-Series and the tournament itself felt different. I wanted to make it, yes. But when I sat alone with my thoughts, the fire wasn’t there. My little voice wasn’t screaming anymore. Without this spark, the inner drive that knows nothing will get in my way, I don’t feel right continuing to play. Far too many obstacles present themselves in professional golf (or any dream for that matter) to be able to succeed without a strong “why.” Despite still loving the game and even the tour lifestyle, I know going in half-heartedly would only be setting myself up for failure. 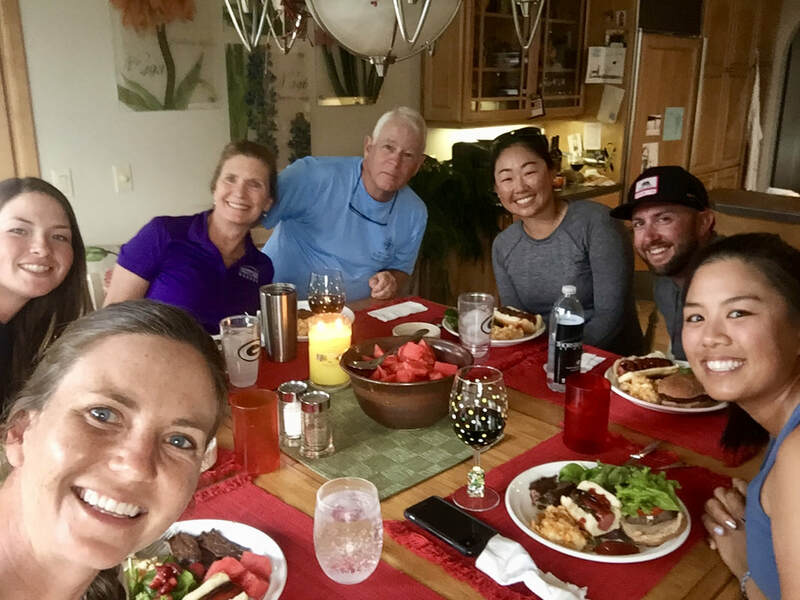 I am so grateful for the relationships, adventures, and lessons professional golf has afforded me— most of which I’ve shared here with you over the years. There was so much value in all of my ups and downs: the joy of traveling the world; the sweetness of victory after a missed cut; satisfaction in progress; qualities known to cherish after a revolving door of caddies and coaches; meaningful connections made with former strangers; how to stay strong mentally and physically; even where to book the cheapest rental car or flight. I can’t imagine a more fun way to learn some of life’s most important lessons. There have been a couple other exciting developments in my life, too: my fiancé Steve accepted a new job in San Francisco, and we have moved to the city together. And yes, I said fiancé (!). While vacationing to Switzerland in December, he proposed and I happily said yes. As for what I will do next… I’m not sure! I am excited to create a new career, I just don’t know what that will be yet. Golf remains my greatest passion, but I am ready to develop some other passions, too. I am open to hearing any ideas and making connections in the Bay Area! Thank you all for following along the last six years. 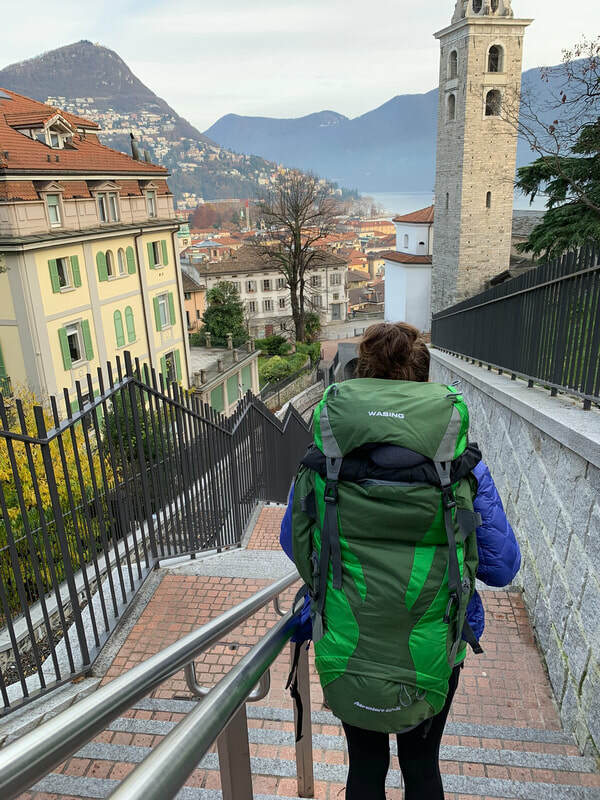 While the original purpose of this blog was simply to keep my investors informed on the progress of my career, I think the exercise of stopping to gather my thoughts into a cohesive letter every so often ended up being as beneficial for me as it was for anyone else. And whether you were a sponsor, playing partner, competitor, host family, coach, caddie, spectator, or simply a reader of this blog— thank you! I’m eternally grateful for each helping hand along the way. I suppose I have been avoiding writing this blog. Its been eight weeks since I have had any type of golf result to (literally) write home about, but the rattlings going round in my head have reached a decibel I cannot ignore. So, here we are. The last bright spot to which I am referring was my T-39th place finish on the LPGA in Indianapolis. It was an enjoyable week all around. I stayed with a delightful repeat host family (shoutout to the Lacys!) in downtown Indy, and I happen to like the Pete Dye layout that weaves its way inside the Brickyard race track for a few holes. I still don’t quite understand the desire to marry NASCAR and golf; however, they somehow make it work in Indy. Three weeks prior, I sought the assistance of a new coach, Andy Patnou. I had dragged my feet in making a coaching change, but after months of unreturned phone calls and half-hearted help it was finally time. Andy started by addressing a few basics: my right hand grip had unintentionally migrated way too on top of the club and my shoulder turn was rather flat. One of golf’s greatest evils: a minuscule change means the difference between a weekend pairing with Lydia Ko and a weekend pairing with whomever you’re jockeying for elbow room in the center seat of the Southwest flight out of town. Most notably, my caddie in Indianapolis was local sports psychologist Dr. Rob Bell. Rob and I have followed each other on social media for a few years and I had listened to some of his podcasts, but we did not formally know each other until the Brickyard. I was aware he had caddied for professional golf clients before, so I reached out. Turns out this was one of my rare brilliant ideas. Take a deep breath here. Reset. Just focus on this first tee shot. That’s it. How are you feeling? Tired? We’ve got five more holes. Stay with me and be mentally tough for just five more holes. His guidance was remarkably consistent and clear. Its like... he is a professional or something. My swing was gelling, the soft course conditions suited me, and thanks to Rob, I stayed unbelievably present. Eleven under par and a critical jump inside the top-150 on the money list. Surely, on the way up, right!? Wrong. Oh, golf. I was in a fantastic place mentally next the two weeks at the Canadian Open and the Portland Classic with Rob’s cues still echoing in my head, drowning out the usual demons, but unfortunately my form didn’t match. I missed the cut in both, albeit with more grace than usual. I reconvened with Andy in Scottsdale, and he provided more simple but necessary guidance. Turns out it is hard to make LPGA cuts when aimed twenty five yards right on every shot. I also recommitted to diligent short game practice for two weeks, tripling the amount of time I’m typically found on the putting green. To continue Q-Series preparation, remain competitive, and visit even more exotic travel destinations, I shipped off for Symetra events in Prattville, AL and Longwood, FL. Unfortunately my form was lacking there, too. The sequencing of my swing has been so inconsistent for the last year that it feels each week I am either zero or the hero with nothing in-between. Thus, Andy and I have worked on another technical tweak to make my sequencing more consistent. Golf is cyclical, and this tweak is a return to the motion I had mastered in my glorious and victorious summer of 2015, when I believe I best maintained a high level of ball striking for an extended period of time. I’m already pleased with the progress made and grateful to have a committed, supportive coach to guide the process. Q-Series has morphed into an eight-round marathon in Pinehurst, NC. 108 women will play four rounds on Pinehurst #6 (Oct 24-27), take a three day break, then play four more rounds on Pinehurst #7 (Oct 31-Nov 3). There is no cut, and the scoring is continuous from the first course to the next. The top 45 finishers will receive 2019 LPGA status. There are no longer twenty “full” cards: all 45 will be placed in the same category and will be subject to reshuffles. However, finishers 21-45 will be at a higher priority level than they have in the past because 101-125 from the 2018 money list are no longer granted top status. Whew- did you get all that? Probably not, so here’s what you need to know: I have a singular focus on getting the ball in the hole as quickly as possible every day between now and November 3rd. I’m relying on my usual toolbox for stress management: daily meditation, journaling, emotional support from friends and family. The addition of Dr. Rob to my team has been a valuable bonus. It's time for an update on my last couple months! ​As usual, life on tour has been a roller coaster. Back in April my game was feeling great, and I was chomping at the bit to get started in Hawaii. I ended up missing the cut by a stroke after battling a cold during the first and second rounds. Golf can be a game of momentum, and it felt as if Hawaii was the start of a downward spiral. I really struggled two weeks later in San Francisco and again at the next stop in Dallas. I’ve had plenty of times like these in my career by now, but honestly, it's always difficult. I was down and frustrated, but there was only one thing to do: just keep swimming. As they say, the only way out is through. 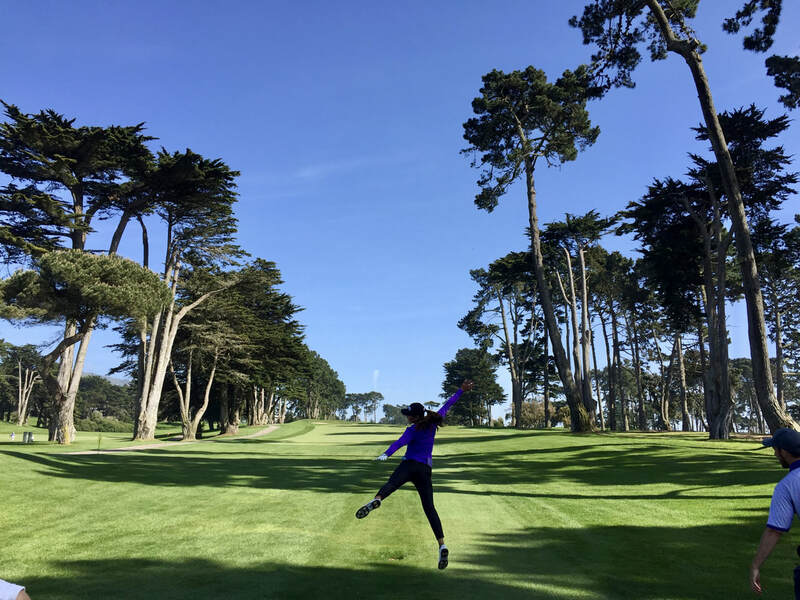 Lake Merced GC, site of the LPGA Mediheal Championship, is my new favorite LPGA tour stop. My friend Demi Runas (above) obviously agrees. 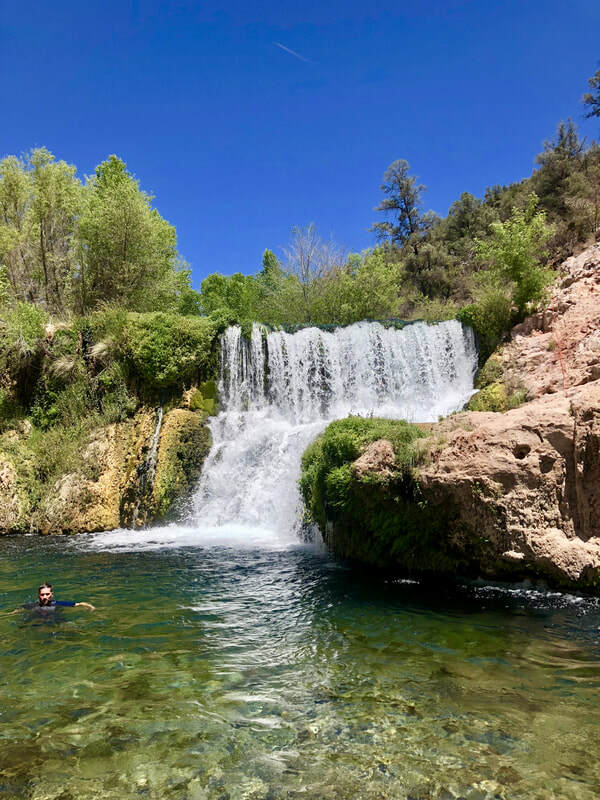 Fossil Creek in Strawberry, Arizona: refreshing for mind and body! Things continued to look up when I arrived in Ann Arbor, Michigan for the LPGA Volvik Championship. I saw what felt like a thousand feet of putts go in the first 27 holes. The honeymoon phase with the new putter didn’t last forever, though, and it cooled down on the weekend. However, finally making a cut and playing a full four rounds gave my confidence a major boost. I'd gotten the monkey off my back. In reality, my golf game wasn’t that far off during the first three events. I placed a lot of imagined and unnecessary pressure on the Hawaii tournament just because I had waited so long to play. Instead of finding the positives and moving forward, I dwelled on the failure. Focusing on the ‘coulda, woulda, shouldas' is mentally and physically draining. When all you see is what you’ve done wrong, mistakes and bad luck seem to keep appearing. In hindsight, I realize I have more control over those momentum swings than it feels like in the moment. 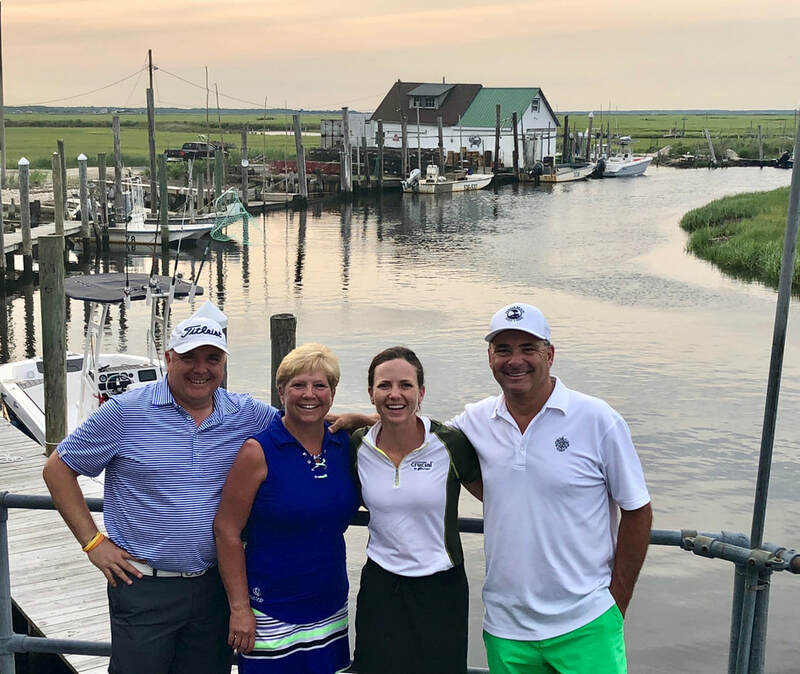 I was lucky to have Scott and Wendy Bradshaw and Patrick Lucas as my pro-am partners and cheerleaders all week in Atlantic City, NJ. This game has introduced me to so many great people. I played more solid golf at the LPGA Meijer Classic in Grand Rapids, but shooting 70-74 was not enough to make the cut. From Grand Rapids, I drove north to the Upper Peninsula of Michigan for one of my favorite Symetra events: the Island Resort Championship. A couple bad swings hurt the overall score, but once again, my game wasn’t far off. 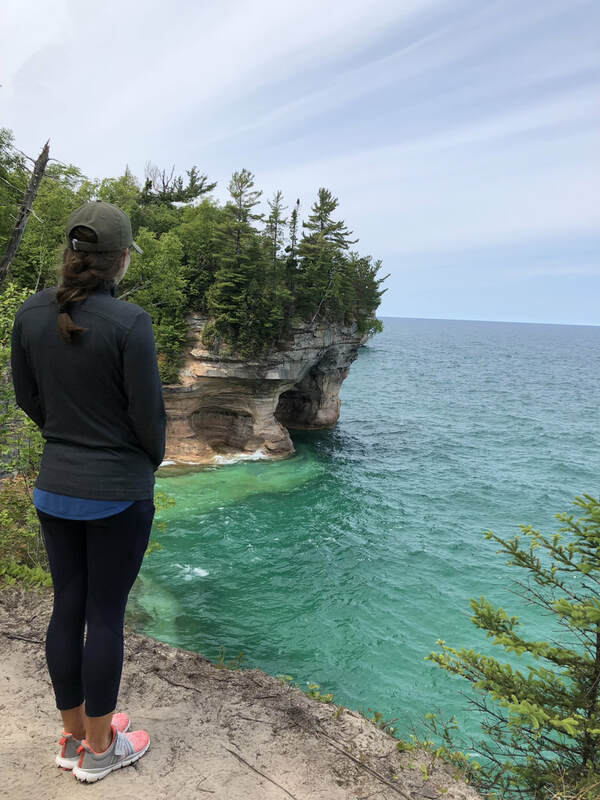 I can't stop staring at the Pictured Rocks on Lake Superior. I had the pleasure of stopping to play the Mammoth Dunes course at Sand Valley in Wisconsin while en route to Minneapolis. 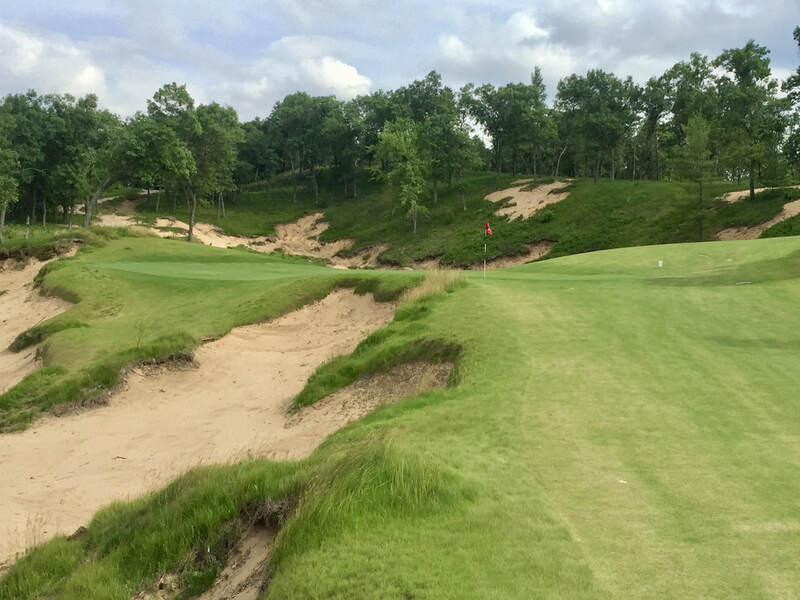 I would highly recommend adding Sand Valley to any golfer's list of stay and play destinations. 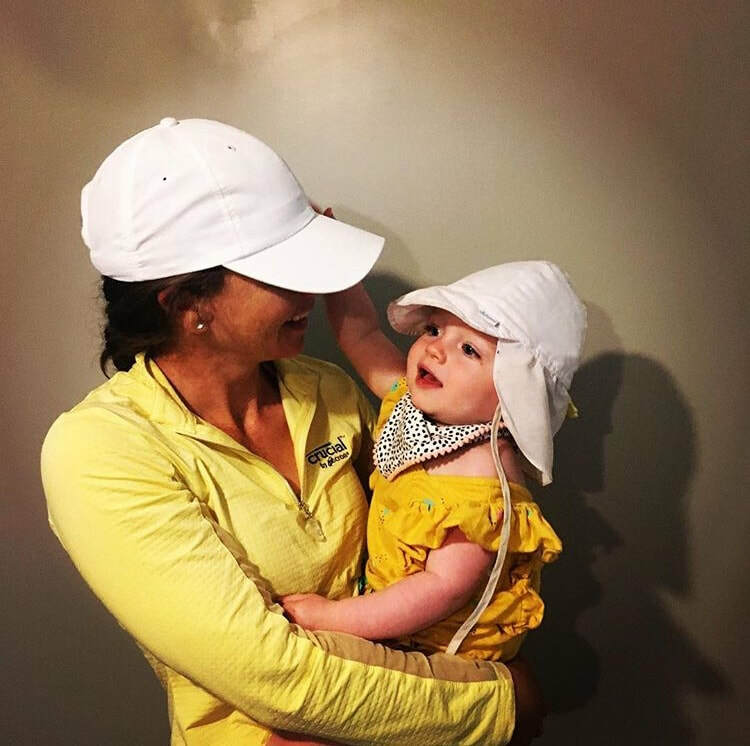 Elizabeth is still working on hitting the golf ball instead of chewing on it, but she has already mastered the art of looking fabulous in a cap. The next LPGA stops were Green Bay and Toledo. I unfortunately racked up two more missed cuts. Like I found last summer, six consecutive weeks on the road is beyond my limits. While I feel strong physically, aspects of my swing and short game get off track when I don’t have guidance from a coach for so long. I also found myself running on a very short emotional fuse despite my best efforts to stay patient and positive. I feel like my niece when it is past her nap time. Please, I’m cranky, somebody just put me in (my own) bed! …after just one more week on the road, that is. 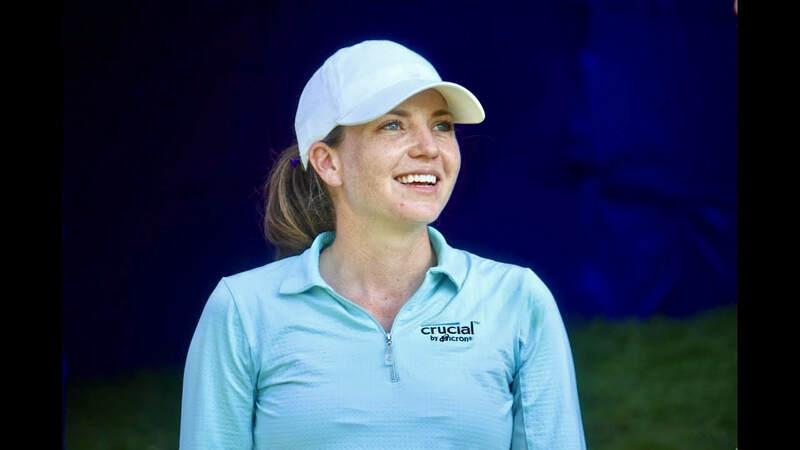 LPGA player Olafia Kristinsdottir is hosting a pro-am in her home country of Iceland on July 18, and I couldn’t resist the opportunity to see this bucket list destination. Upon return from Iceland, I will have three full weeks off to recharge my batteries at home before hitting the homestretch of domestic events in mid-August. I definitely won’t let this tired stretch of golf turn into negative momentum like I did earlier in the summer. I know I can play better than my recent scores, and each week has been a valuable learning experience regardless of the outcome. Thank you to everyone who has been a part of the ride! I have stayed with some wonderful host families the last six weeks. These generous people make life on the road so much more enjoyable. Thank you to Rusty and Mary K Bishop in Green Bay for hosting us over the 4th of July! Who has two thumbs and loves to eat better-than-prime meat? Snake River Farms gets the official stamp of approval from travel buddies Brianna Do and Caroline Inglis. 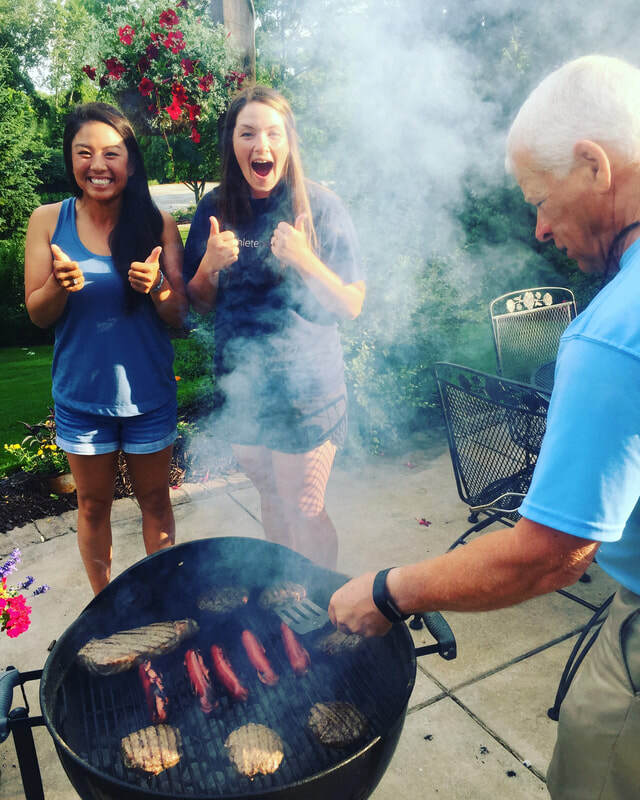 The SRF grilling package was perfect for a backyard BBQ with our host family. 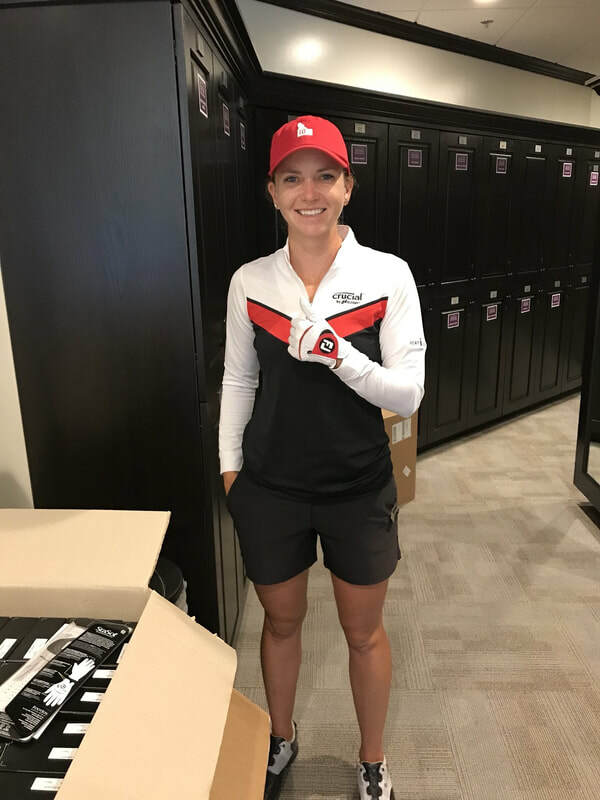 I'm smiling because of all my great sponsors: Thank you to Bette & Court/ Sport Haley for the great clothes, Imperial Hats for the cool Idaho cap, and FootJoy for the colored glove to pull it all together.